Think you know Utah? Test your knowledge of this week’s news here. 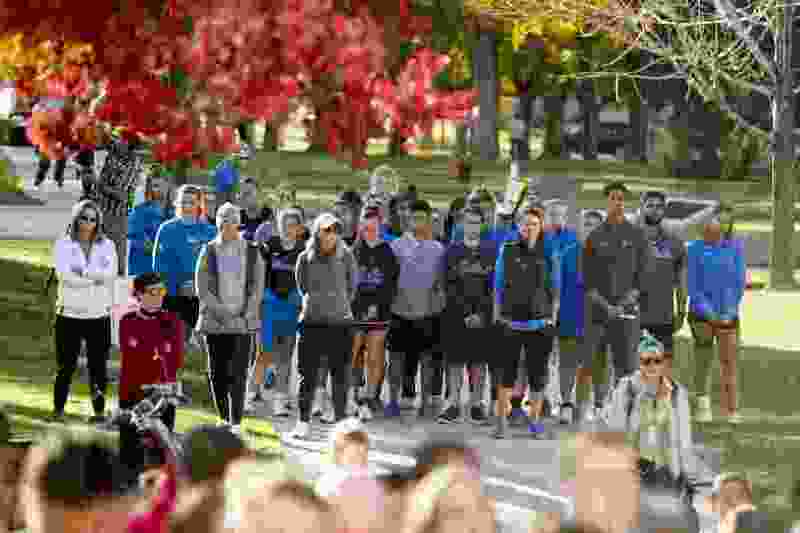 (Jeremy Harmon | The Salt Lake Tribune) Students from UCLA listen during a vigil for Utah track athlete Lauren McCluskey on Wed. Oct 24, 2018. McCluskey was killed on campus on Monday. Last week, 79 percent of you knew about a controversial tweet Jason Chaffetz directed toward Sen. Elizabeth Warren, but only 46 percent knew Utah Jazz player John Stockton was the inspiration behind a trendy London bar. Think you kept up with the news this week? Take our quiz to find out. A new quiz will post every Friday morning. You can find previous quizzes here. If you’re using The Salt Lake Tribune mobile app, click here.